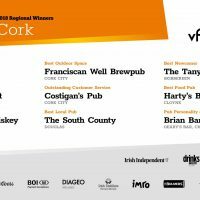 Some of the finest pubs representing Dublin City and County are celebrating following their success at the 2018 Irish Pub Awards Regional Finals, which took place in The Bankers Bar, Trinity Street, Dublin on 18th September 2018. All nine winners will now go forward to the final of the National Pub Awards at the RDS Concert Hall in Dublin 4 on Wednesday 21st November when the National Category Winners and the overall Irish Pub of the Year will be announced. 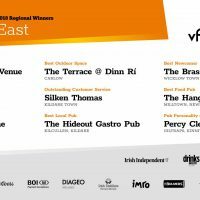 The Irish Pub Awards are jointly presented by Licenced Vintners Association (LVA) and Vintners Association of Ireland (VFI) A series of seven regional events will take place around Ireland between 11th September and 11th October to announce 63 finalists throughout seven regions. 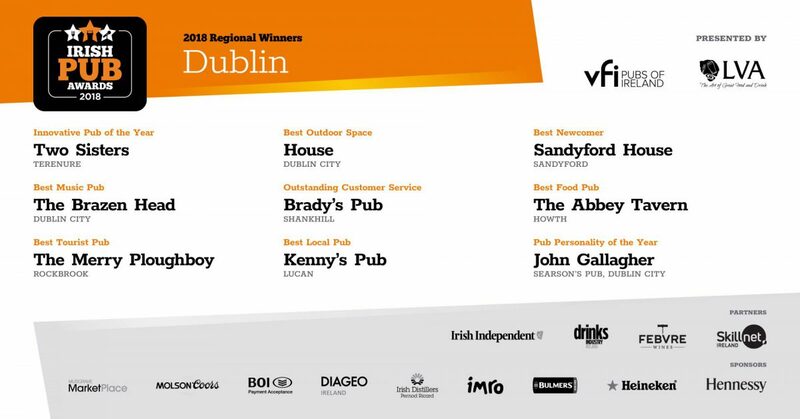 “The Awards were developed as part of our strategy to raise the profile of LVA member pubs in Dublin. The Irish Pub is at the heart of every town and village and the pub is where locals gather to meet friends and neighbours for good food and craic. It is also where tourists meet locals and enjoy Irish hospitality at its best along. Irish pubs are also a major employment provider across all regions. These Awards are an excellent vehicle to showcase what the pub has to offer the modern customer”. The prize package for all finalists will include a management training course to help them progress their business further. They will also avail of comprehensive media coverage at local and national level, including a feature in the special awards supplement published in the Irish Independent on the day of the Gala Awards Ceremony at the RDS Concert Hall, Dublin 4 on Wednesday 21st November.